So far my skin is good just my concerns are acne scarring and dull skin. 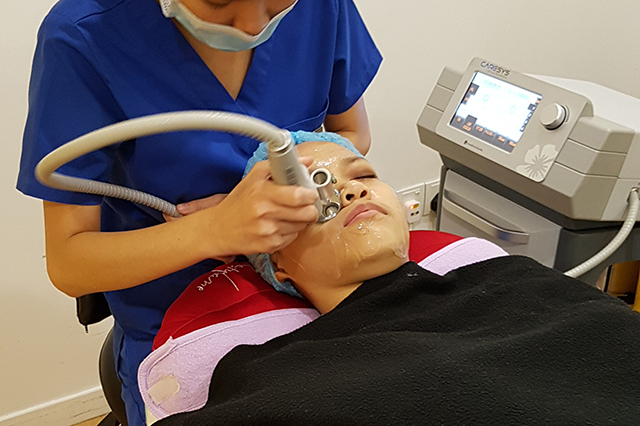 So I decided to give my self a Laser treatment for some help onto my skin problem. I went for a treatment called Elsa Brightening Treatment. 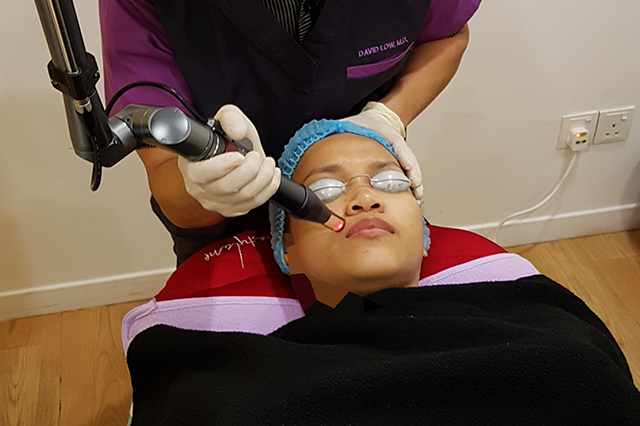 This treatment has no downtime, helps to rejuvenate skin texture, even uneven skin tone, diminish pigmentation, give skin looking glowing, stimulates collagen and of course brighten the skin. 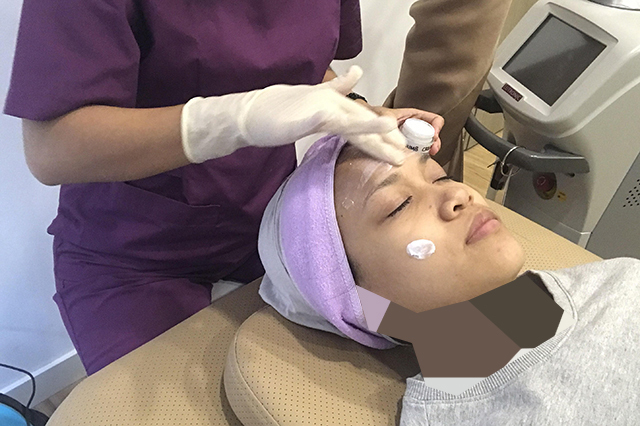 The process starts with a consultation to make sure that the treatment is really suitable for my skin. Then they help to remove my makeup and then they apply this numb cream. it takes about 15 minutes for the cream to set in. Then, it is time for the laser treatment. 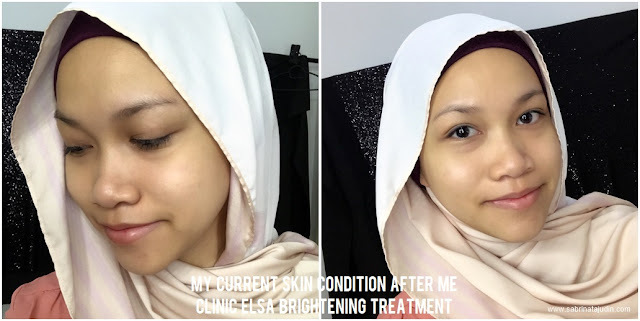 The Elsa Brightening Treatment. It is conducted by the doctor. For the first time, it does a bit of a shock (haha, dont get me in a wrong way), but it is bearable. It is because of my fine hair around my face. The process took about 45 minutes. After the Elsa BrighteningTearment laser process, my skin feels a bit tight but in a good way. Then theya pply this cooling aloe vera gel on to my face to cool down my face. The treatment is pretty straightforward and fast. I love it! Here is a before and after picture. As you can see in just one treatment my face does look much more awake and brighter. 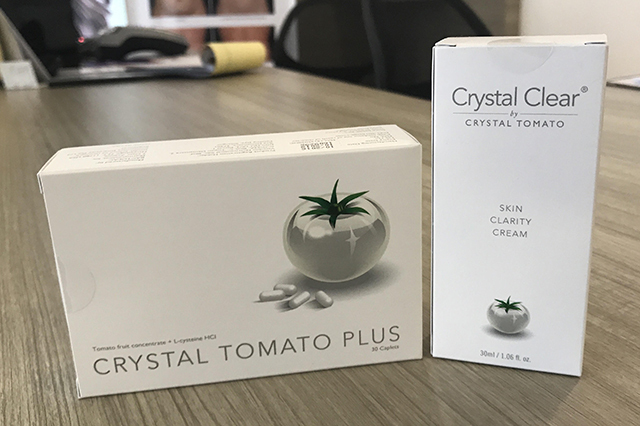 You can also go for an additional supplement that they offer such as these skin Clarity Cream and Crystal Tomato Plus. but I am breastfeeding, so I don't take it. It is advisable to not use any whitening or skin lightening skincare for a week after this treatment. 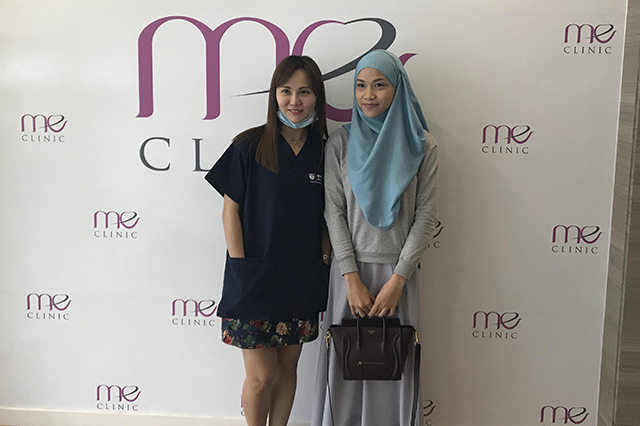 Here is me after the treatment I went from the Johor ME Clinic branch. I repeat my 2nd treatment at the Time Square branch. I just moved into Selangor a few weeks ago, so I choose this location then. The first treatment I went was in Johor. Dr David consult me on my skin condition after my 1st one. So far all is good! My face after the numb cream. Have to wait for 15 minutes to get it set onto my skin. Then it was removed and Dr. David did the Elsa Brightening Treatment on to my skin. Same as before, after that his assistance cool it down with the aloe vera treatment. I am loving my skin. Below is how my skin looks, less pigmentation and brighter. I felt that my makeup application are much smoother and get less cakey. I will definitely do a follow-up treatment to maintain this. Blanco Le Peel, Chemical Peeling, Thread Lift, Medical Face Spa, and more. Here is all ME Clinic branch that you can visit. Free Consultation fee if you mention my name "SABRINA". Do give them a call to book your appointment today! No.11, Jalan Sutera Tanjung 8/3, Taman Sutera Utama, 81300, Skudai, Johor. L6-18, Melawati Mall, 355, Jalan Bandar Melawati, Pusat Bandar Melawati, 53100 Kuala Lumpur. LG-18, Lower Ground Floor, Berjaya Times Square, No.1, Jalan Imbi, 55100, Kuala Lumpur.